Remember when Insomniac teased a fantastic four related post a few weeks ago? Guess what?! 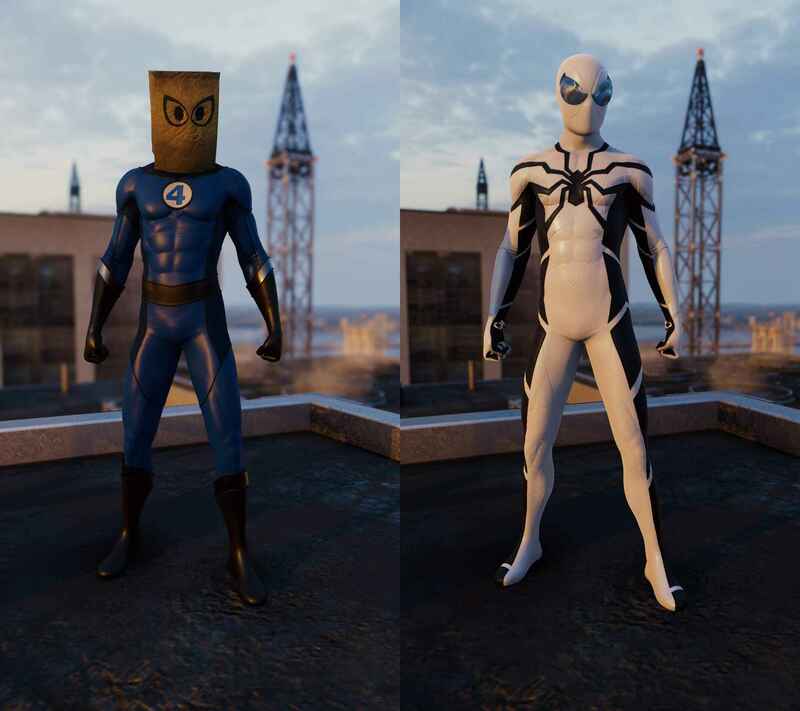 The new Spider-Man PS4 update just brings two new fantastic four suits. Just a few hours ago, Marvel’s Spider-Man just received the latest update version 1.14 on PS4. While the update addresses some of the issues that players have been complaining in the previous version, the new version highlights the arrival of two new Fantastic Four suits. The new Spider-Man suites are called Future Foundation Suit and Bombastic Bag-Man Suit. The Bag-Man suit was first seen in The Amazing Spider-Man comic issue #258 where Spidey used it after being separated from his black Symbiote suit by Dr. Reed Richards, which is the leader of Fantastic Four. Obviously, the Bag-Man suit arrived because of the Mr. Fantastic which is why the Future Foundation Suit was also included on this update. The Future Foundation Suit is a symbol to a group that Mr. Fantastic, Reed Richards, founded in the comics. Marvel’s Spider-Man was released on September 2018 and was an exclusive game for PlayStation 4.